When a young woman hires her hometown’s former bad boy to be her pretend fiancé for the holidays, she finds she can’t wrap up her feelings as easily as a Christmas gift. New York jewelry designer Graceann Palmer has two days to find a fiancé to bring home to Pennsylvania for the holidays so her matchmaking mama will quit fixing her up with jerks. The Falcon, a motorcycle-riding, leather-clad former high school crush, helped her out once before. Maybe he'll do it again. Jake Falco, man of many mysteries, is back in town on a mission—one the people of Spirit Lake most likely won't appreciate. 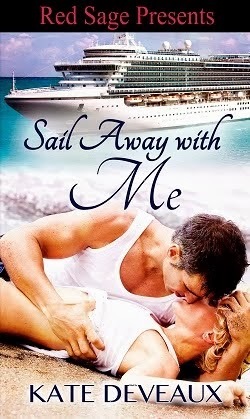 When Graceann presents him with her crazy scheme, it gives him something he's always wanted—a chance to get to know Graceann. It also gives him the perfect opportunity to add fuel to his project of revenge. But as Jake and Graceann grow closer, their engagement-of-convenience begins to feel like the real deal—until Jake’s secrets are revealed. 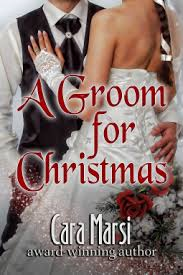 Can a relationship that began with lies and secrets bloom like a rare Christmas rose into happily-ever-after? WOWSA, I want more Jake Falco. Graceann is having a dilemma she needs a rent-a-fiancé for her family’s Christmas gathering in order or ward off her fixem-upper mother. Insert – Totally Hot – Bad Boy, Jake Falco, who Graceann has not seen since high school. She convinces him to go along with her plan and they are off to her family’s home for 9 days. In those 9 days Jake finds something he has never known he really wanted in Graceann, but the secret he is hiding his whole reason for being back in Spirit Lake threatens to erect the walls around his heart that Graceann has managed to break through. Thank you so much for the review. I'm thrilled you liked my book. And, yes, I agree about Jake.